In our family you either like football, or you’re out. Not really, but you inherently have a rudimentary love for the game ingrained in your DNA. As a matter of fact, the Hubs is leaving Wednesday with his best friend to make the trek back home for his team’s Thursday night game. He’s been packed for over a week, and the sons’ are begging for pictures and souvenirs. I swear my guys’ bleed their team’s colors. And game night’s are full of fist bumps, high fives, shouting at screens, and moaning about bad calls. It’s one of my favorite days of the week, mostly because the game always brings us all together. Even if our family couch can barely contain us all anymore, and someone’s always stuck on the floor. It’s always a good time. Another thing you’re guaranteed to find on football days? Game Time Grub. Good eats are an expectation in our house. Which is also why on Saturdays, you’ll usually find me headed to the local Target to stock up on some of our favs- including our favorite hot sauce. El Yucateco®’s hot sauces are where it’s at- the spice, the flavor, and the fun. We love the Red & Green Habanero sauces, but I make a special detour to Walmart for my personal favorite- El Yucateco®’s Black Label Reserve. Don’t miss out on El Yucateco®’s awesome sweepstakes! Enter now for a chance to WIN! Their sauces can’t be beaten on flavor since the ingredients go directly from the Field to the Bottle. There aren’t any artificial colors. It’s great taste has made it the King of Flavor since 1968. And can I tell ya about their awesome packaging?! These bottles are perfect for enjoying at home, but small enough that I can throw one, two, or a few into my purse and still get my fix at tailgating events. If I’m home for the week’s game, it’s even the secret ingredient of one of our family’s favorite football foods. 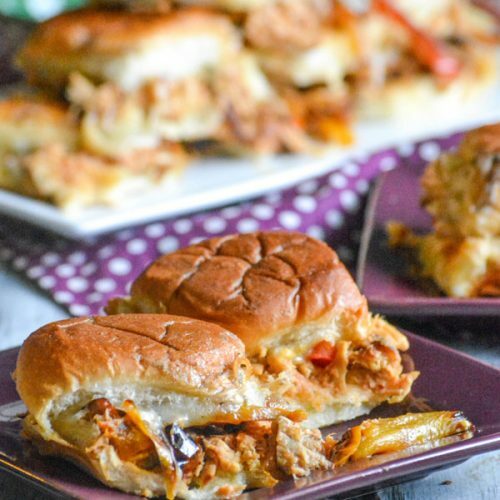 Spicy Barbecue Chicken Fajita Sliders. Isn’t that a mouthful? No really, it is and loaded with a brilliant blend of flavors in every bite. 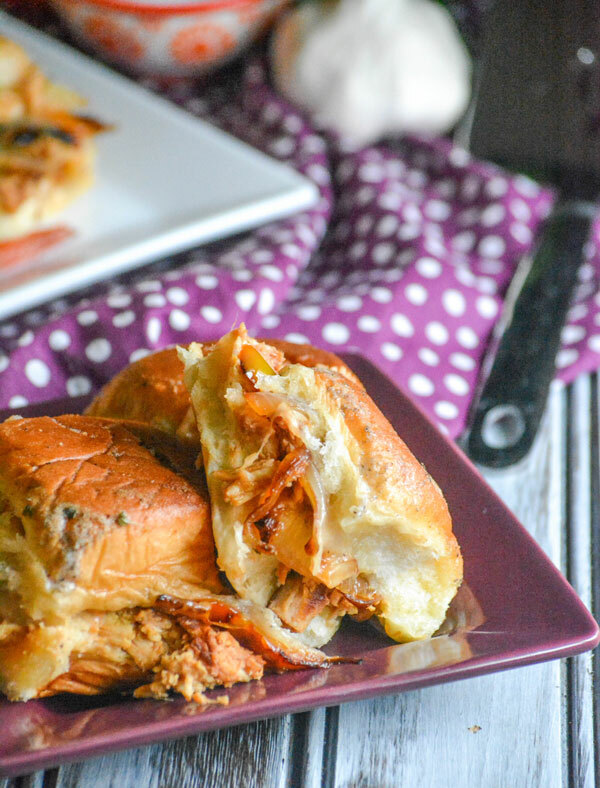 Appetizer sized Hawaiian sweet rolls are piled high with barbecue chicken, sauteed onions and peppers, and topped generously with shredded mozzarella. 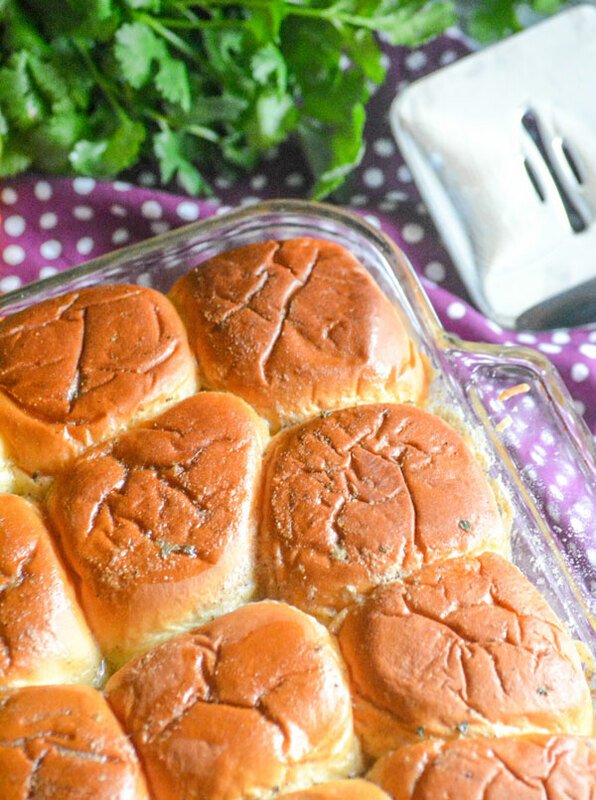 These sliders are smeared with a spicy sauce of butter, Black Label Reserve, and seasonings before being baked to bubbly golden brown perfection. 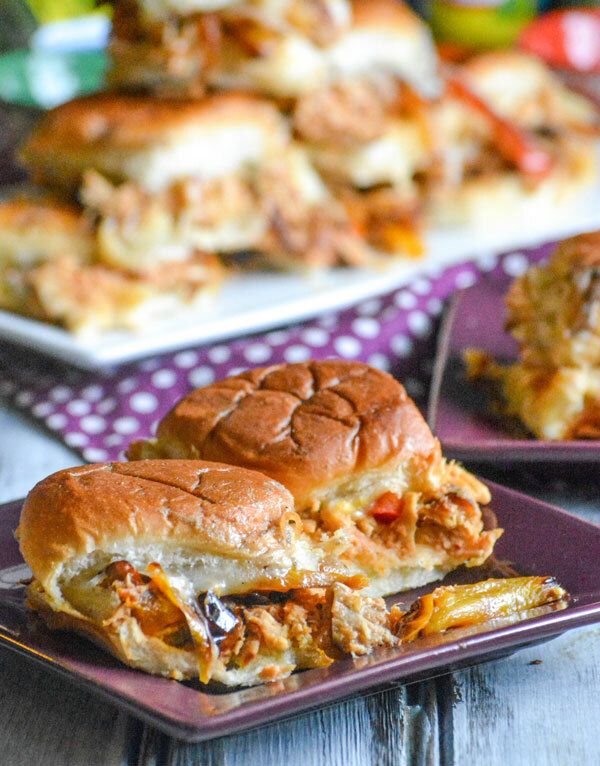 So while the Hubs is manning the grill, tailgating in the parking lot at the field on Thursday night in freezing weather- I’ll be warm in my favorite pair of sweat pants, ‘home’gating with my kids, my snacks, and these Spicy Barbecue Chicken Fajita Sliders. Luckily, we’ll both have our hot sauces handy. 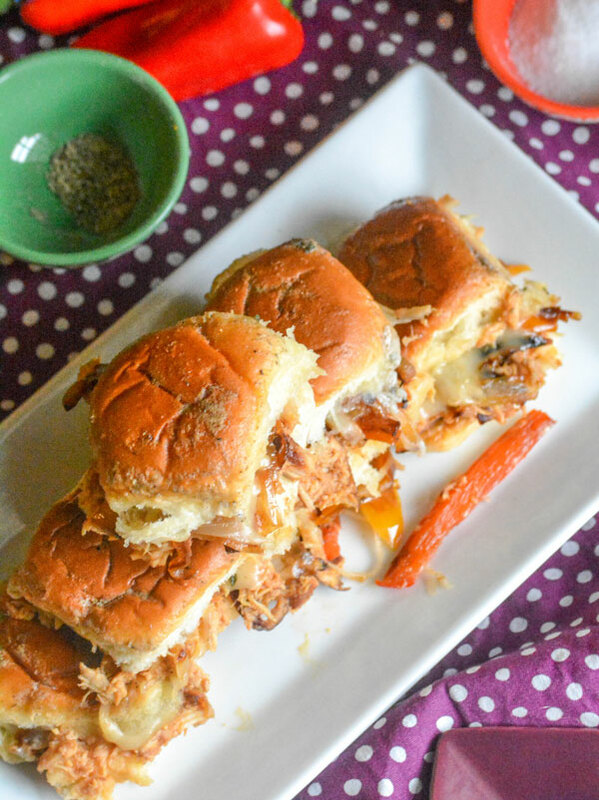 A savory slider loaded with chicken, veggies, and cheese and topped with a spicy buttery finishing sauce. Add the barbecue sauce to the chicken, stirring to completely incorporate. Add sauce, to taste/desired texture. Cut the Hawaiian rolls in half. Set the 'tops' aside. Add both bottoms, side by side, to a 9x13 baking dish. You may have to squish them slightly so they're both evenly in the pan. 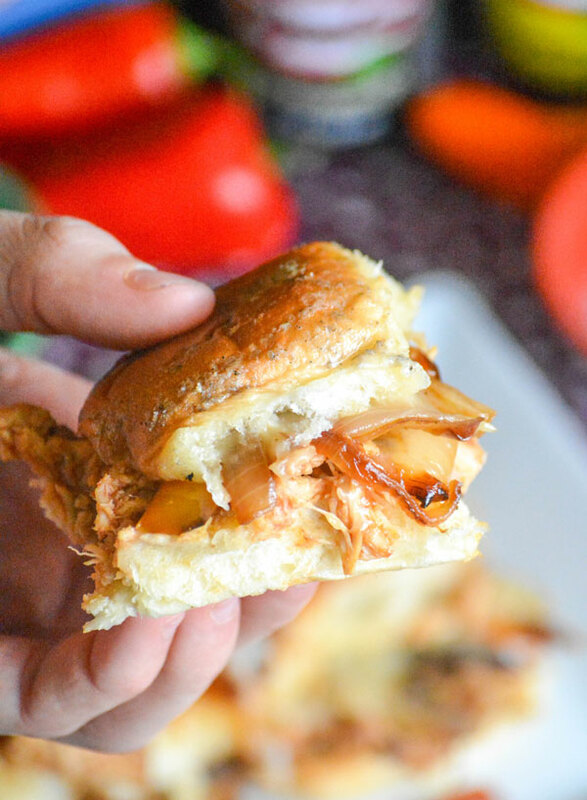 Spread the barbecue chicken evenly out over the bottom buns. In a large skillet, sautee the onions and peppers with the olive oil over medium heat. Stir them consistently, and continue cooking until soft and slightly caramelized, about 3-5 minutes. Spread them evenly out over the chicken. Sprinkle the cheese evenly out over the hot veggies. Then top the sliders with their respective top buns. To a medium sized skillet, over medium heat, add the butter, black label reserve, garlic, and oregano. Stir them to combine, and cook until the butter's completely melted. Pour the mixture evenly out over top of the buns. Cover the dish with aluminum foil, and bake at 325 degrees for 15 minutes. Remove the foil, and bake an additional 10 minutes- or until the tops are toasty and golden brown. Cut the sliders, and serve warm! Another game will be here before you know it. 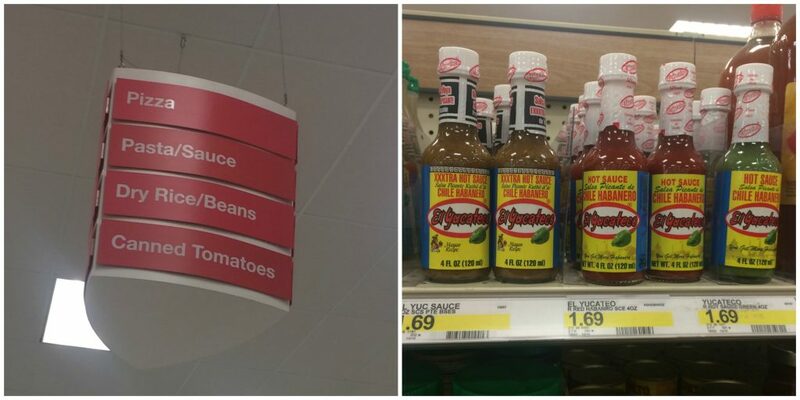 Make sure you stop by your local Target or Walmart & stock up on El Yucateco® Hot Sauces before hand! Want more recipe ideas and inspiration? We’ve got you covered, just click HERE! 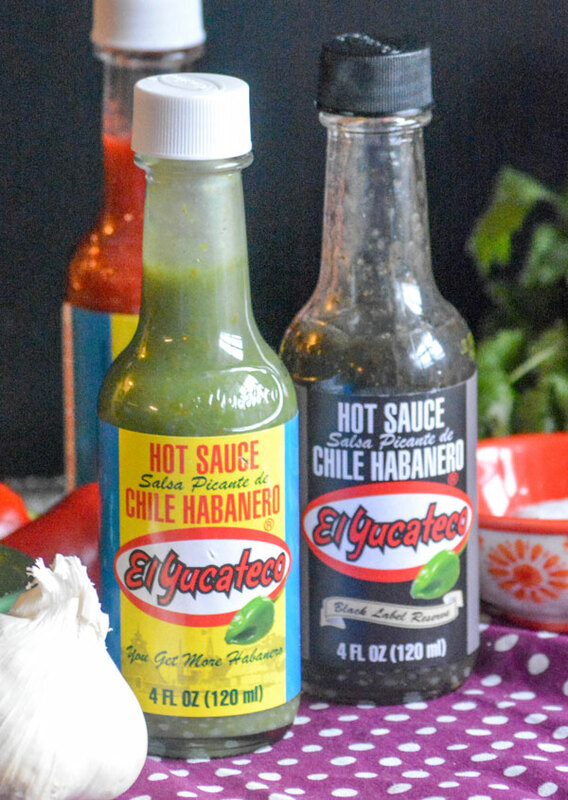 Got a favorite way you enjoy using El Yucateco® Hot Sauces? Leave a comment and let us hear your yummy ideas! Some type of slider is traditional at any football game I am hosting. The big Ohio State/Michigan football game is Thanksgiving weekend and these would be perfect. Thanks for a great recipe and sharing with the party goers at Fiesta Friday. Wow! 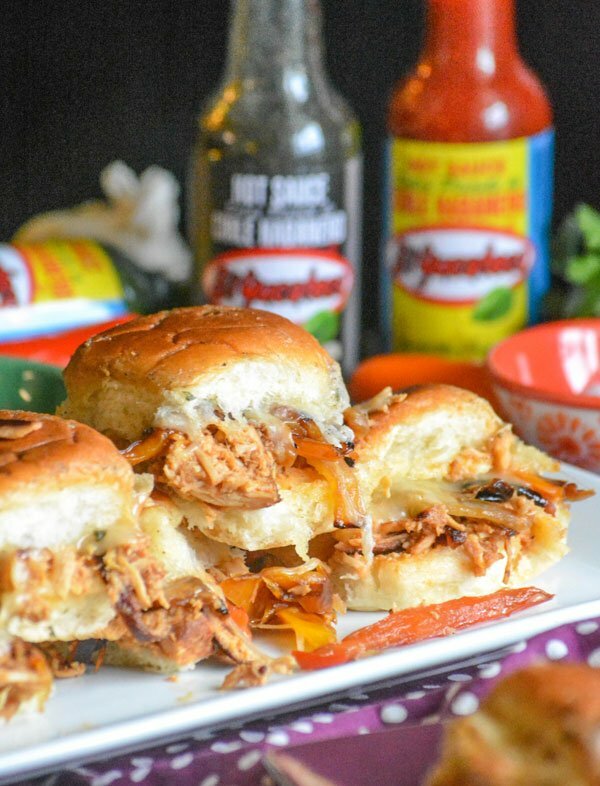 Fajitas on sliders? I love it! I will keep the recipe for later. Maybe I’ll skip the spicy thing, though. 😀 Thanks for sharing and happy Fiesta Friday! Perfect game food. Thank you for bringing them to share on FF.